This is a 6-hour course meant for directors, managers and frontier research seekers who want to learnt more about organization structures from an enneagramic perspective. 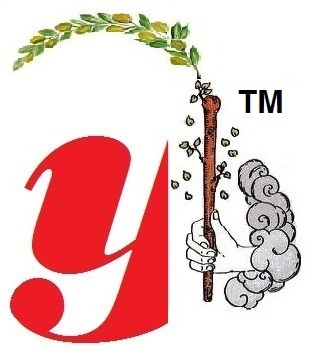 The seminar/workshop is developed as part of the serial training programs for Odyssey Training. 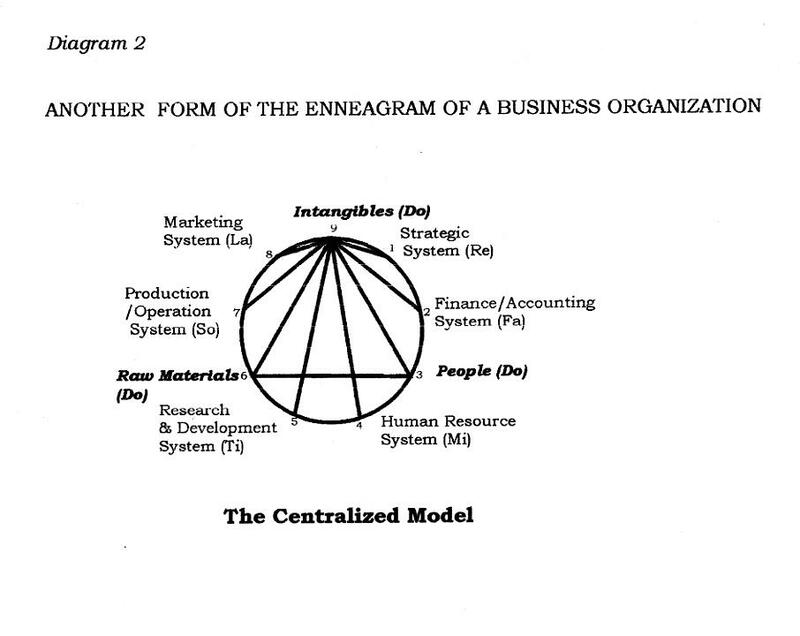 Contemporary model of organization structure at its developed stage and in a fairly stable environment is based on two separate models. 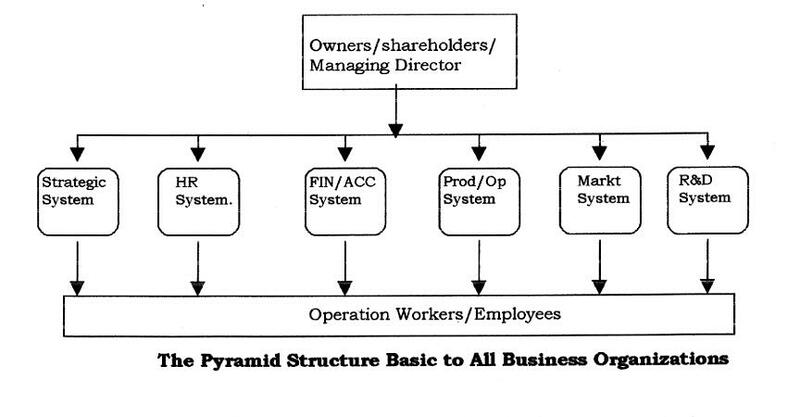 The first is based on the logic of hierarchy or pyramid with a functional division into departments such as marketing, production, finance & accounting, HR and R&D departments, and various sections. 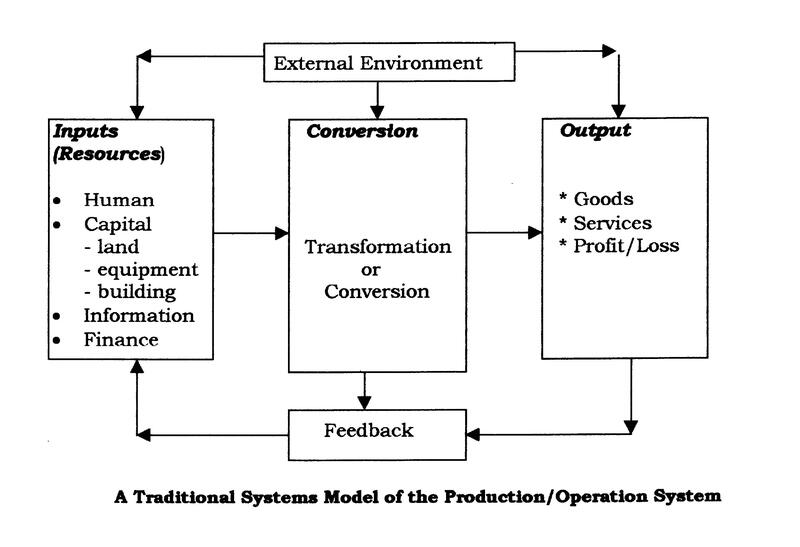 The second is based on the systems concept for a production/operation system with inputs, conversion and outputs as its core components. Then the greater picture of production comes with combining the activities of various organizations to produce splendid products and services on a large scale. This structure is not clearly distinguishable before the mature stage. But few have spotted other approaches to understanding this structure although there is one based on the ancient knowledge from esoteric literatures that can do so. This approach is called the enneagramic approach and it is based on the laws of three and seven. To many people this approach is unknown. 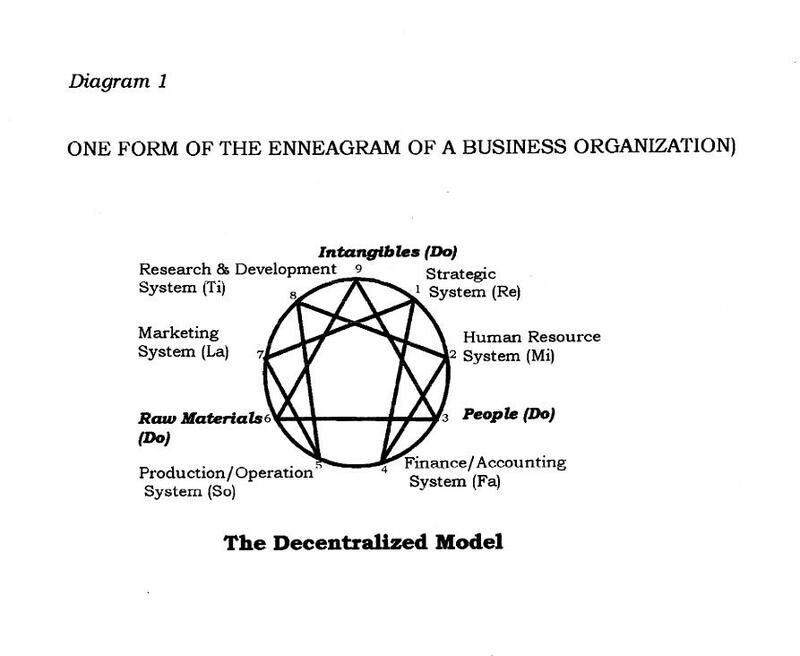 In view of a possibility of using ancient knowledge to understand modern realities better, I have decided to spend some years trying hard to relate it to business organizations by combining the gist of the enneagramic principles with that of the principles of constructing modern organizations today. 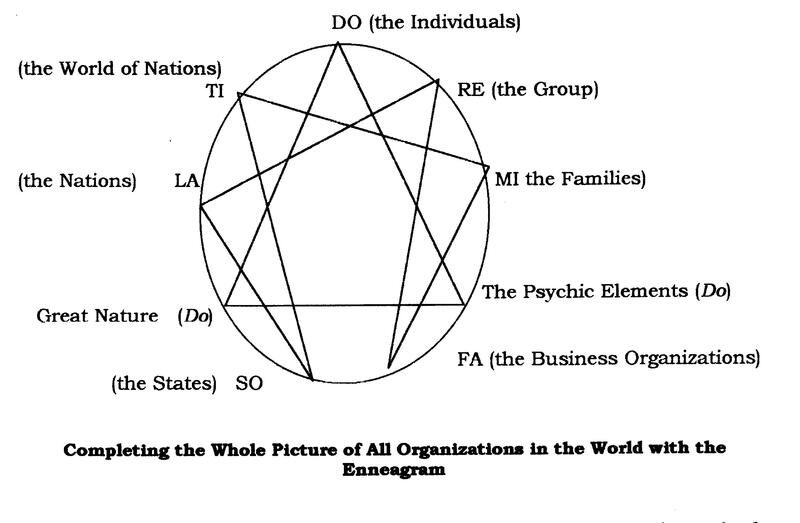 In order to understand this work properly one must understand the basics of the enneagram and an article here will not be enough. We dare not be different and for the braver ones, they have unfortunately stopped as soon as they have just started. Another reason is that the common approach appears too normal for our unsuspicious experience and we have accepted them for granted without having the desire to be inquisitive. We tend to satisfice when looking at the same thing in the same manner. In some ways we are also conditioned by the similar approaches which most of the contemporary business literatures have "indoctrinated" us. Appreciating the value of this work is apparent only for those who have an intimate knowledge of the enneagram and its deep implication in practice, otherwise, it can easily become another chart to the ordinary eye.